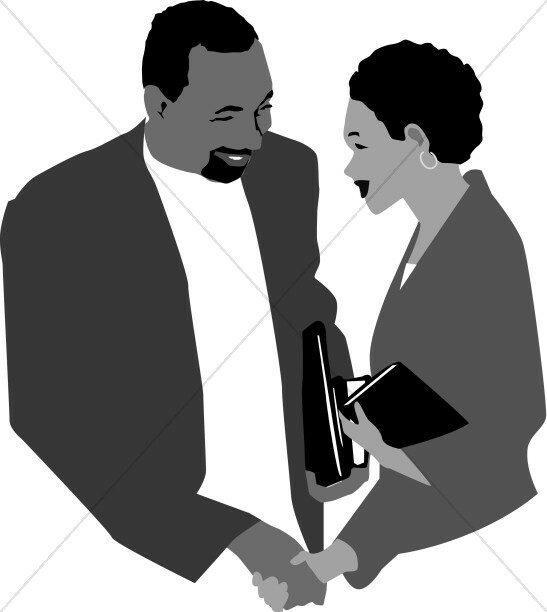 Fellowship is one of the hallmarks of Christian ministry, and the FaithClipart.com Fellowship clipart category is designed specifically to allow you to incorporate these idea's into your church's printed materials. 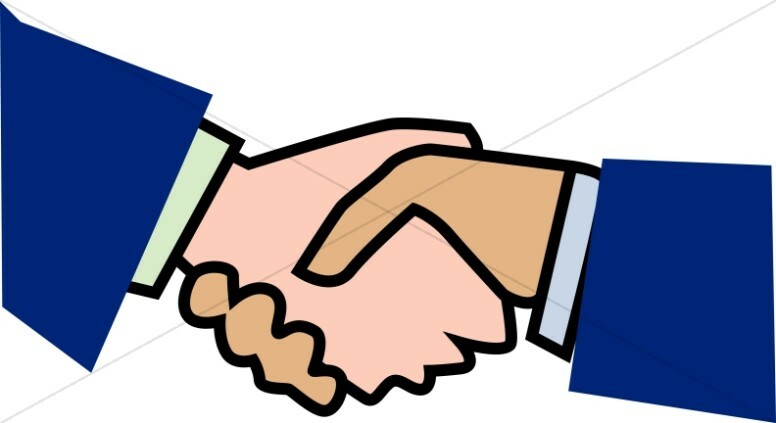 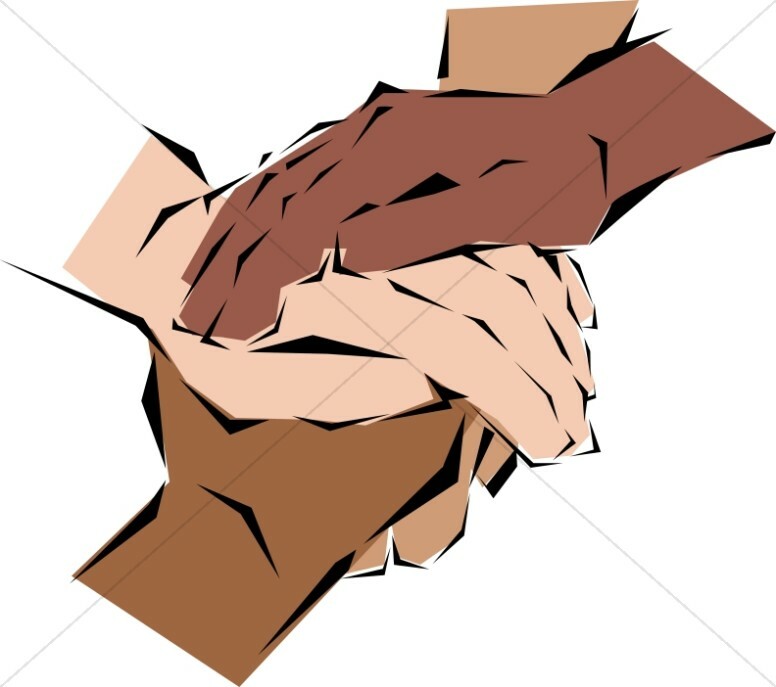 Use images of hands of different colors clasped together to signify multicultural unity or ecumenical togetherness. 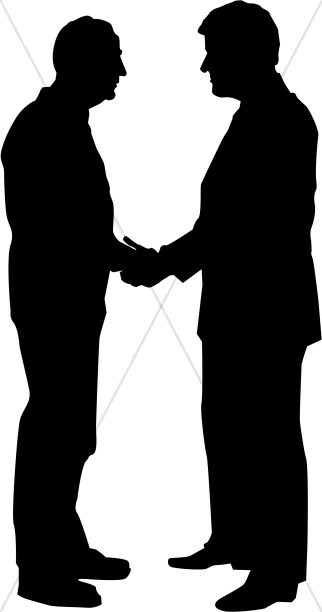 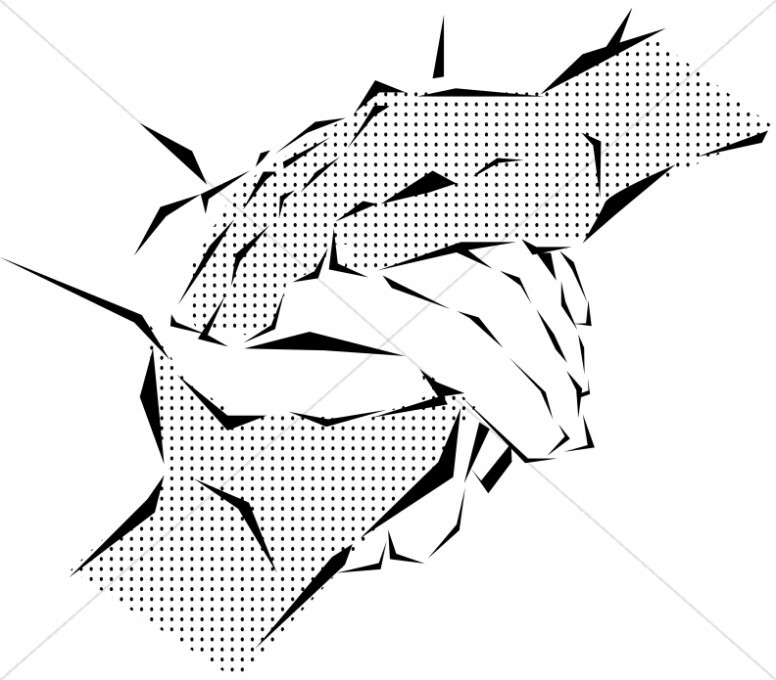 Fellowship graphics of people of color holding hands in front of a cross might be perfect for a Sunday worship service program cover, while illustrations of men and women of color shaking hands will help to show the connections of faith and love which can grow between Christians of any color. 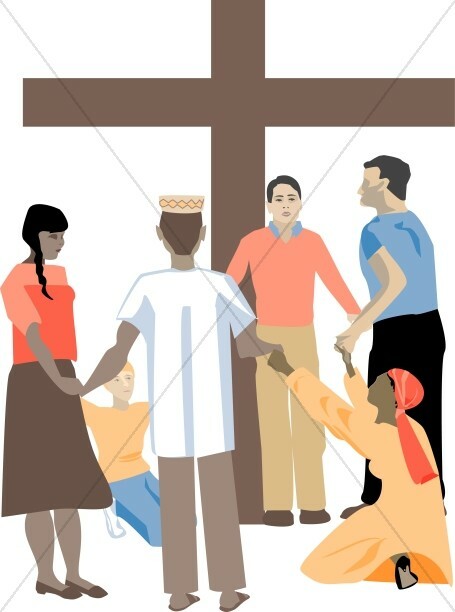 With the FaithClipart.com design tools, you can even add a caption like "Fellowship Weekend" to any image, creating your entire piece before you download.